Richard Carico posted a message. Congratulations to Howard on the recent birth of your twin grandchildren. I have said many times that grandchildren are the reward we get for not drowning our kids when they were young. 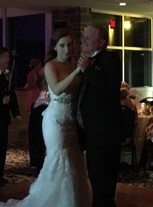 I posted pictures of my daughters recent wedding on my profile, then I realized I could have posted them here. The picture are of my daughter Kelly and her husband Adam Alls. 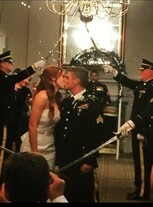 They were recently married in a military ceremony at "The Top of The Bay" on Aberdeen Proving Grounds. Adam is a Helicopter Mechanic in his civilian job and crew Chief of a Schnook Helicopter when serving in the Army National Guard. He has already served one tour in Afghanistan and will be leaving March of 2017 for his second tour. Kelly graduated college and works in Corporate America. She intends to go back to school as soon as they figure out where they will live long term. 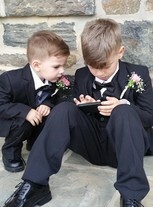 There is also a picture of my grandsons not Kelly's) Trey (9) and Phoenix (2). I wanted to post a pic of my wife but could not find one. I will add one later. I hope this message finds everyone well and have a safe and healthy 2016. Richard Carico changed his "Then" picture. Richard Carico changed his "Now" picture. Richard Carico changed his profile picture. Richard Carico updated his profile. View.